4 Xfinity or Fios – Who Has The Best Coverage Verizon Or Comcast? 4.2 Xfinity vs. Verizon Fios – Which One Should I Get? 5.1 We Have Roku ,does it work best with FiOS or Comcast? 5.2 For An Internet only Service Should I Get Xfinity or Fios? 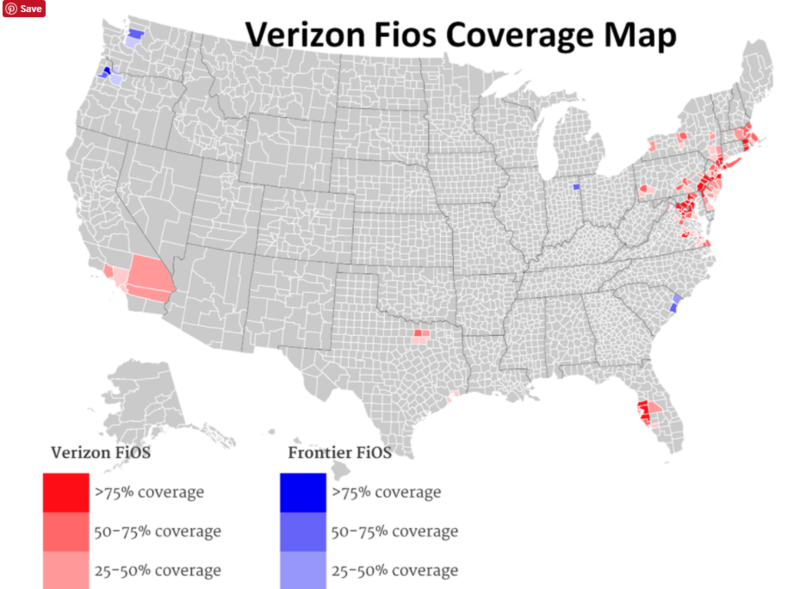 Comcast Xfinity vs Verizon Fios , these two often fight for many of the same customers in the same demographic areas. So its little wonder the common question we get here is “Should I get Xfinity or Verizon Fios? ” Lets a take an in-depth overview of each and see if we can help you answer this question for your broadband and internet requirements as well as maybe save you some money of the sign up a subscription. In this review we compare Comcast vs. Fios and determine which one will be the most beneficial for you, we outline the differences between the plans, price, data caps, internet speeds, customer satisfaction scores and equipment reliability scores in order to determine which of the two companies offers you a better bundled service for internet and TV. Before getting into the specifics, we will provide you with a brief rundown of each one. In the USA, Fios and Xfinity are two of the more well-known Internet providers. The main difference between the two providers is an older cable network is used by Xfinity while Fios uses a new generation 100% fiber network (see our in-depth review of fios here for more on that ). And while Xfinity offers excellent value with its “tough-to-beat” TV, Fios wins in the speed department, and it succeeds by a considerable margin. So for millennial’s who are streaming vast amounts of data via movies and YouTube videos immediately, you can see who will cater to your needs more. There are also some aspects where they overlap. The two companies compete heavily on the quality of service and price, and that is excellent news for customers, who can significantly benefit from record low pricing structures from each company to attract new customers. There are two key strengths of the Verizon Fios service: unlimited data use and gigabit speeds. They are an ideal fit for those who use the Internet heavily such as remote workers, gamers, You-tubers and techies need the most exceptional quality of service that is available with speeds unrivaled anywhere. Quality of service and price, and that is excellent news for customers, who can significantly benefit from record low pricing structures from each company to attract new customers. The unlimited data policy of Verizon Fios means it is a very user-friendly service for streaming video content from Hulu, Netflix and all the other providers that have appeared in the space over the last few years and unless you have speeds and no data cap expect to pay a pretty penny for it. The Fios fiber network is a lot better suited for upload-heavy intensive applications such as well when compared to the traditional cable companies like Comcast. However, where I live there is just one speed that is available. It is a 50 Mbps connection which is ok, but we do experience buffering on movies when others are using YouTube or other Internet-based products. Ok so you can see what if you are a higher end user then you will need Fios so what is it going to cost me you ask? A two-year commitment is required in most cases and the first year costs $49.99 per month and the second year costs around the $59.99 per month. However, see our latest Verizon Fios Deals for new customers to Fios and potentially save 10 to 20% on sign up plus they will waive the $90 fee on the triple play plans should you go for that. Users of Xfinity by Comcast can expect cutting-edge and consistent service from Xfinity’s massive cable network and fiber-optic technology. Comcast’s Xfinity provides phone service, cable TV, and broadband internet via its hybrid coaxial fiber network. In the US, Xfinity is among the most widely available providers of cable Internet and has enjoyed a loyal fan base due mostly to its competitive price structure and high-end customer service experience when compared to its rivals. A range of speeds is offered by Comcast going up to two gigabits per second which amazingly competes incredibly well with the fiber internet giants like Verizon. So here is what Xfinity will cost you.During the first year the 25 Mbps connection plan will cost you $39.99 per month, but after that, it increases to $66.95 per month. Comcast’s 75 Mbps service costs $79.95 per month, and its 150 Mbps costs $82.95 per month, with no extra math you can see Verizon’s equivalent plans are cheaper. Comcast’s Xfinity offers phone, TV and Internet service primarily to consumers through its hybrid fiber coaxial (HFC) network. Also, in some regions, the company is rolling out its fiber-to-the-home (FTTH) installations and aims to compete with Verizon’s fiber connection. However, Verizon recently announced it is rolling out its new 5G technology to further cement itself as the king of fiber internet. Fios is the most extensive fiber provider in the USA whereas Comcast is the most prominent cable internet and TV, provider. The name, Fios, is an acronym for Fiber Optic Service and that’s exactly where the technology of the world is headed. Fios operates over a fiber-optic communications network and they currently operate in 9 States and have over 5 million customers on the service. Verizon Fios setup costs $99 However, purchases made online will include a setup charge waiver. We recommend taking the day off when getting Fios set up as it may take longer than regular cable. Xfinity has two options: installation costs $89 or a self-installation kit for $15, but it costs $15 to ship. You can do a self-install kit only for a single television, so anyone with multiple TVs is going to pay for installation as well as additional receivers. Xfinity or Fios – Who Has The Best Coverage Verizon Or Comcast? 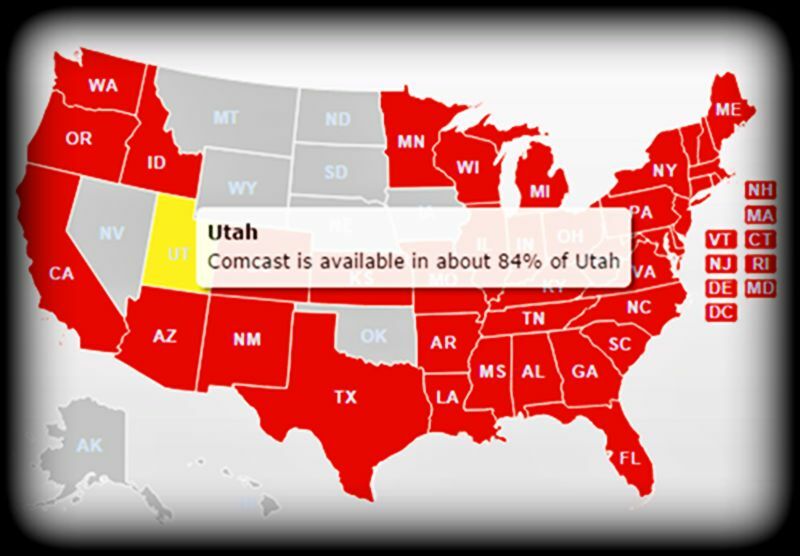 When you compare fios vs. Comcast Xfinity coverage, this one goes to Comcast by a country mile. Fios may have the best gigabit speeds but for overall coverage of the United States has this in the bag. The map’s below I found on google compare’s Comcast to Fios coverage, as you can see Xfinity has a vastly more extensive network available, but in time Verizon will overtake this with its 5G technology roll out. Well personally I prefer the small guy when it comes to customer service, and that’s due to the familiar adage of merely being a number in a big machine, and this is where Comcast and Verizon have let the public down in the past.So basing this on reputation alone Verizon comes out on top, and Comcast has a long-standing reputation for providing a bad customer experience, having said that they have improved their game immensely since the rebrand to Xfinity. When I compare Xfinity to Fios customer service, I would have to say overall its a tie in this area as neither stands out as being head and shoulders ahead of the other. Xfinity vs. Verizon Fios – Which One Should I Get? If you watch lots of television, then the new X1 platform from Comcast is cool. The company provides one of the industry’s best television browsing interfaces, but there are a couple of annoyances as well, including connection issues and movies that are outrageously priced (like renting old film costs $5.99 which is ridiculous). In our view, Comcast could do a lot better by making old movies free for a period of 6mths before charging anything for them, after all, we are talking about 20 to 30-year-old flicks.On the flipside, The Fios new whole home DVR can record an incredible 12 channels at once. However, they have a weird set-top pricing structure, and the user experience isn’t as good as Comcast. To break the tie, I would look at the picture quality, and streaming capabilities and speeds and Fios will undoubtedly excel here since their television content is delivered via gigabit-speed fiber optics which results in a more precise picture being provided and no annoying buffering. We Have Roku ,does it work best with FiOS or Comcast? For An Internet only Service Should I Get Xfinity or Fios? The short answer is yes, again for anything to do with live streaming or huge amounts of data transfer to get the fastest speeds you will need a fiber optic connection and Fios offer one of the best options for gamers and anyone needing huge data flow. While Fios is much faster than Comcast, the popular plans from both fall into the same general download range of around 100 Mbps, depending on current promotions and service area. With Fios 50/50 Mbps, a 30MB, 4-minute video can be uploaded in under 5 seconds. Compare that to the 25/5 Mbps speed offered by Comcast cable, and you can see clearly who wins the race. It will take 48 to 50 seconds to see a video uploaded by Comcast when compared to Fios gigabit connection uploads. That is nearly ten times slower so when you weight up all of these little things the fios experience wins overall. Don’t let the claims from other network providers fool you by the slick marketing , its where the rubber meets the road that you the consumer need to the truth and all the fluff and spin removed because once you sign up for one or two years its too late to change and big companies like Verizon and Comcast know this . The truth of the matter is that networks are not all the same and by reading guides like this you can make sure you don’t get taken for a ride by the marketing machines in the big towers. Check the differences out for yourself and then make your decision based on the data and all the pros and cons instead of the claims made by various cable companies. 3 Responses to "Comcast Xfinity vs Verizon Fios – Review,Compare Better Internet Packages 2019"
TurboTax provides easy-to-access guidance and definitions to help you comprehend precisely what tax credits and deductions you’re qualified to get access to.